Raychelle is using Smore newsletters to spread the word online. Any form of aggression that causes harm to someone whether intentionally or unintentionally. 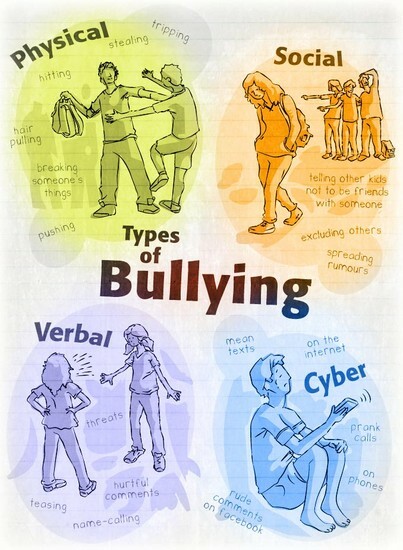 Bullying happens to adolescents all of the time, all over the world and it is an epidemic that needs to be stopped. 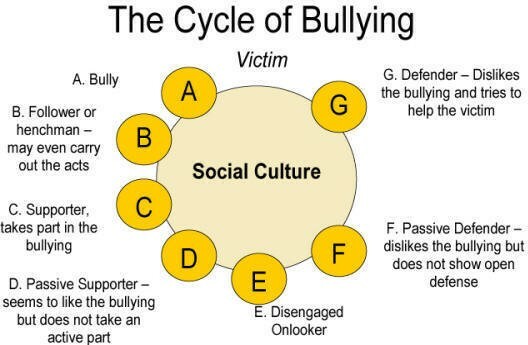 According to Berk(2010), About 10 to 20 percent of children are bullies, while 15 to 30 percent are repeatedly victimized, most bullies are boys and they use both physical and verbal attacks, while girls use verbal and relational hostility."(343). Berk also states that, "Peer Victimization is a destructive form of peer interaction in which certain children become targets of verbal and physical attacks or other forms of abuse"(343). What causes a person to be a victim of bullying? maternal or paternal over protection. A study was conducted in Britain to establish the relation between recurrent peer victimization and the onset of self reported symptoms of anxiety or depression in the early teen years (Bond et. al, 2001, 480-484). The study was conducted in a secondary school at the beginning or year 8(which is the second year of secondary school, mean 13 years, and then in 12 months at the end of year 9 (p 480). "Through a 40 minute self administered questionnaire where the participants who were classified as being victimized answered yes to four types of recent victimization: being teased, being excluded, having rumors spread about them, and if they experienced physical abuse or violence(p 480). What did they look at during this study? "Mental health, Social relations and if they had someone to talk to when they were angry or upset, if they are having a tough time, or if they know someone well who can be trusted with their private feelings and thoughts, family measures of whether their family is intact or divorced"(p 481). Berk, L. (2010). Emotional and Social Development in Middle Childhood. In Development through the lifespan (4th ed., p. 343). Boston, MA: Allyn and Bacon.